Fresh is best! It’s a motto that every self respecting beer nerd has heard so often that the words start to lose all meaning. While this can be a good thing: familiarity masks how terrible a name The Beatles really is, for example, in the case of beer it’s a three word slogan with genuine heft as, in most cases, fresh really (should be) best. It’s somewhat ironic that three of the most important elements to life (heat, light and oxygen) are the nemeses of the only beverage that makes life worth living. Therefore, the only way you can guarantee the beer you drink is as the brewer intended is to make a trip to their brewery and request a glass of it in exchange for legal tender. It’s also a bona fide way, on occasion, of discovering that some people should reconsider their career choice. Just as there’s nowhere to hide when brewing a Munich lager, for example, there’s no excuse for your double IPA presenting like an acidic sour if you’re pouring it in your own home. 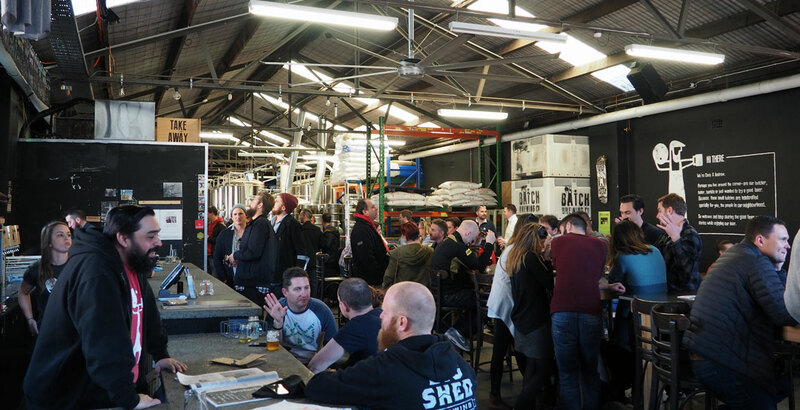 ...particularly as the inner west of Sydney is disproportionately blessed with a number of fine breweries within a five kilometre stretch from St Peter’s to Annandale – and with more to come too. It’s about a 15 minute walk between each or, given Sydney traffic, 18 days of swearing and existential angst by motor vehicle. A brewery located in an old paint factory between a coffee roaster, an urban winery and an axe throwing range might actually be the best thing anyone has ever heard of, potentially topping Moon Dog’s defining location between CUB and a Richmond brothel. 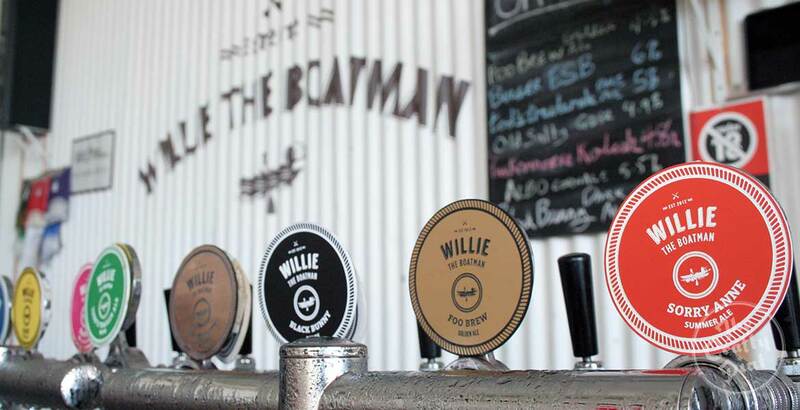 And said brewery, Willie the Boatman, is the perfect place to start an introduction to the beer of the inner west. This ramshackle brewery in Tempe, scraped together from a handful of dairy tanks and some bits and pieces from an old Holden factory, is arguably the most quintessential local brewery on this crawl. If you’re only allowing time for one beer, the Black Bunny dark ale is a corker, while the most famous of their core range – and a suitably gentle way to kick off a day of brewery visits – is the Albo Corn Ale: an American style lager brewed with corn and Galaxy hops and named after the local Member for Grayndler. Otherwise, take some time, grab a tasting paddle and say: “Hi” to founders Nick and Pat – they’ll often be the ones pouring you beers. In the almost three years since opening, Batch Brewing Co’s founders have built themselves a reputation for quality and hugely varied beer. Among the ten taps, you’ll generally always find Elsie the Milk Stout and a West Coast IPA but the other eight could be anything from coconut wheat ale, pickle sour or bière de garde. Working your way through the range at the tasting bar puts you in sniffing distance of the working brewery, meaning you’re right in the middle of the beer’s journey from tank to tap – in fact, so entwined are you in the process that walking to the loo takes you close enough to the brewhouse to high five the brewers (just remember to wash your hands on the way back...). Considering almost every drop of Batch beer is sold within Sydney, it’s almost certain to be fresh wherever you find it around town, but for the freshest – and the most variety – their Marrickville home can’t be beat. UPDATE: Since this was originally published, two more options have opened between Stops Two & Three: Sauce Brewing, complete with unexpectedly large and welcoming beer garden to the rear, and Wildflower Brewing & Blending, provided you're doing the Crawl on a Saturday. The Grifter guys opened the doors to their very own brewery in late 2015 after spending a few years gypsy brewing at Young Henrys. And, with so many breweries finding themselves unable to meet demand soon after opening, it’s somewhat novel to see a brewery being established in a location in which they've allowed themselves plenty of room to grow. In fact – and this is despite recently adding more tanks – the building is so cavernous that the tasting bar almost looks like the set of a movie in a sound stage. The polished decor and incredibly slick branding only serve to heighten that impression. But it’s all very real and the eight taps rotate steadily through the core range, seasonals and a number of collaboration brews including Serpent’s Kiss watermelon pilsner, originally brewed as a one-off with Frankie’s Pizza for Sydney Craft Beer Week but brought back again and again due to popular demand – much to the brewers’ annoyance considering they have to cut up and juice around 40 watermelons every time it’s made. 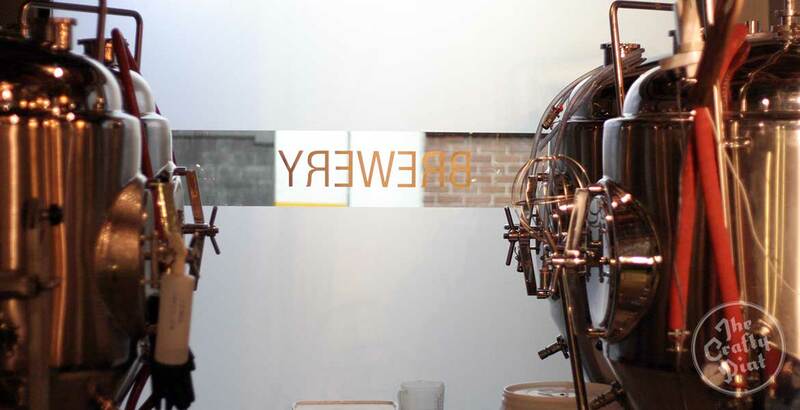 Young Henrys is a brewery that should need no introduction. It seems hard to believe that one of the stalwarts of the Sydney beer scene only came into existence in 2012. 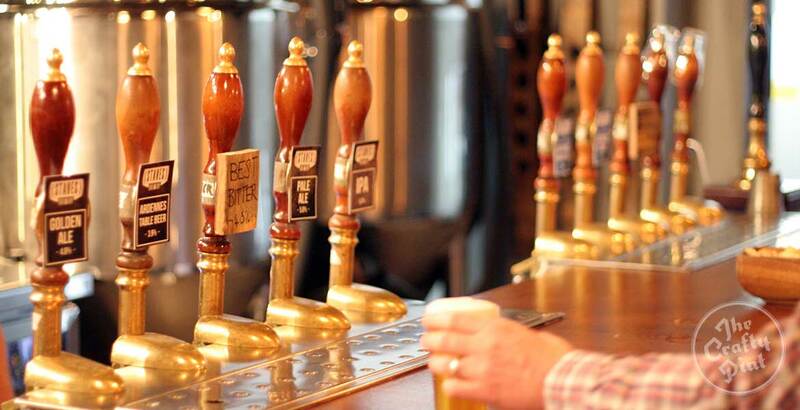 In that time they’ve managed to get their beer into almost every pub, club, bar and restaurant in the city as well as distributed through nationwide retailers. 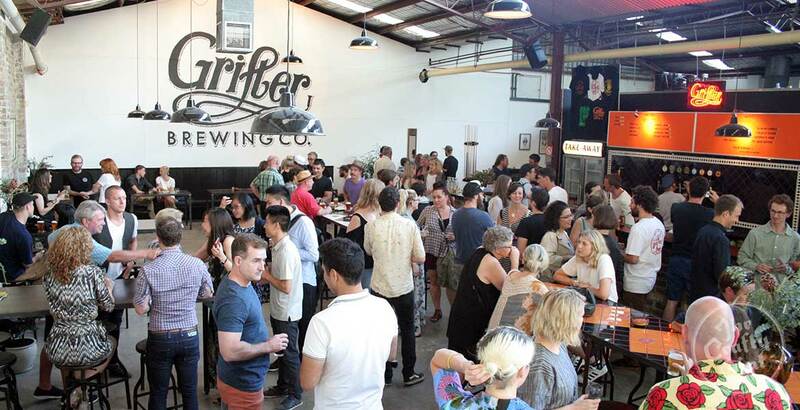 An ambitious plan to open breweries into other states may not have materialised (at least, not at this point), with the focus instead being retrained upon its hugely expanded home base. The newly renovated tasting bar at the Newtown brewery, which swallowed up its adjacent businesses within a few years of opening, pours a wide range of beers – including a couple via handpumps, with many of those beers created in collaboration with people outside the beer world: You Am I, Comic-Con, FBi Radio, their local council and others are among the lengthy list of partners-in-crime. An attitude that tips firmly into “Have a good time, all the time” territory completes the picture, meaning Young Henrys (no apostrophe, folks) is more than just a brewery: it’s a God damned institution. With its location opposite a car park entrance at the arse end of the Broadway Shopping Centre and hemmed in by a bunch of loading docks, you’d be forgiven for thinking the best beer experience you might get in the aptly named Grose Street would come from a paper bag while sat inside a dumpster. But put down your gavel and tear the cover off the book because there’s a wee gem hidden here. For its first year, Staves operated as a straight up bar serving craft beer from small Aussie breweries, but in September 2016 it began pouring beers made in its own brewery. You’ll now find up to eight beers brewed on site and served within inches of where they were made, the range catering for those who want a golden ale, those who want a black Belgian double IPA and pretty much everyone in between. And they serve jugs. And, remarkably, they even have an outdoor beer garden. Wayward Brewing Co is another story of a gypsy brewer that found a permanent home, one that has been brewing and pouring beers from its Annandale venue since October 2015. 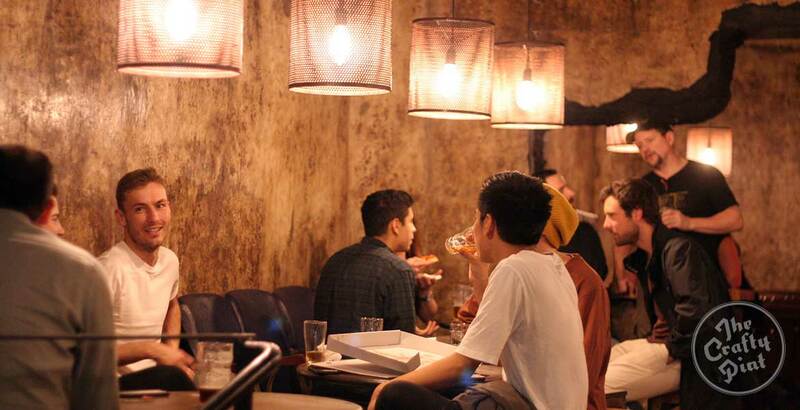 And, while most of the other bars on this crawl offer some semblance of being within a working brewery, Wayward’s cellar door has a different vibe. Between the old concrete wine vats up the back, the 70s style lounges, a wall-mounted motorcycle, piles of vintage luggage and displays of dog photos, there are so many distractions that you could be forgiven for forgetting the beer was brewed 20 metres from the point of consumption. 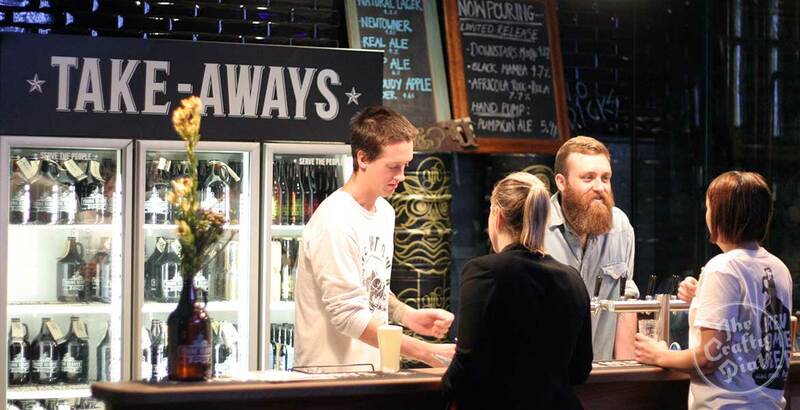 The 12 taps always pour Wayward favourites like the Charmer India Red Ale and Sourpuss Raspberry Berliner Weisse; however, you’ll always find a few limited releases plus a couple of guest taps that showcase other Australian craft breweries. With last drinks at 10pm, and the possibility of pizza being delivered to the bar, the last stop on this Crafty Crawl is certainly not the least. You can check out our other Crafty Crawls from around the country here. With additional words and photos by Nick O.